UNITED NATIONS, December 27 -- Five days after UN Secretary General Ban Ki-moon called for member states to help break the blockade and deliver supplies to peacekeepers in Abidjan, Ban's Office of the Spokesperson has stopped answering any questions about the UN in Cote d'Ivoire. On December 23, Inner City Press asked Ban's acting Deputy Spokesman Farhan Haq why at this time the UN was planning to suspend all of its noon press briefings for the week starting December 27. After claiming that it was journalists who asked to receive less information, Haq said not to worry, while he was going on vacation until January 4, main spokesman Martin Nesirky would be in charge and answering questions. What has the UN done about mercenaries in Cote d'Ivoire since Alain Le Roy confirmed the UN's sighting of mercenaries in that country? 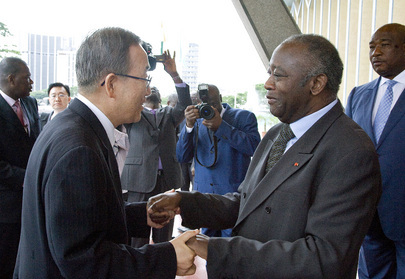 Please confirm or deny the UN's knowledge of Angolan fighters in Cote d'Ivoire. Inner City Press had asked Le Roy, when he came out from briefing the Security Council last week, if he could confirm Liberian and Angolan mercenaries in Cote d'Ivoire. Yes, Le Roy said, speaking of Liberian mercenaries who spoke English and not French. Also in Cote d'Ivoire, confirm or deny any UN involvement in or knowledge of the blocking of broadcast stations beyind Abidjan. 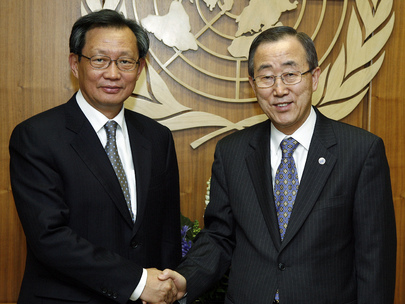 Separately, plea se provide Ban Ki-moon's and Choi Young-jin's comment on this article (link). 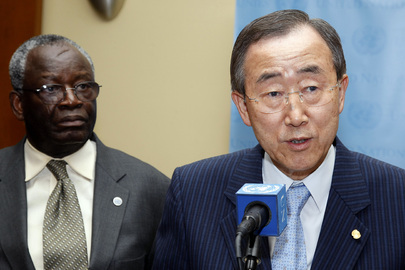 Ban and Le Roy had called state broadcasting in Cote d'Ivoire hate radio for what it said of the UN. Then when it went off the air, what did they say? Apparently, nothing. If and when we get answers from Ban's office, we will publish another article. Watch this site.